First of all, I have to start by praising Jean-Paul Sartre's introduction, a very well built text with comments not only on this work but on Albert Camus himself as a writer and a philosopher. 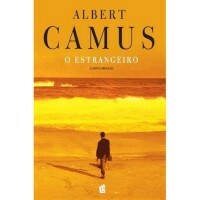 Although it was really effective undoing my ignorance on Camus, I do have to agree with the warnings I had heard about it: if you want to be surprised along the book, leave the introduction to the end and take it as a comment, it might be just as good and you'll avoid the spoilers.I also went to Wikipedia and learned Albert Camus was French Algerian, worked as a journalist and played football besides being a philosopher. He wrote not only novels and short stories, but also essays and plays. One of those works - The Myth of Sisyphus - has, according to Sartre, some connections with The Stranger and the philosophy usually associated with it - the Absurdism - and I'm now considering reading it too.SPOILER ALERTStarting with the death of the main character's mother, the first part of the book tells the reader about Mersault, who he is, what he does and part of what he thinks. The bold beginning - "Aujourd'hui maman est morte. Ou peut-être hier, je ne sais pas" (which can be translated as "Mom died today. Or maybe yesterday, I don't know.") grants him an eerie aura of awkwardness that sets the start for the development of an alien character, not only strange, but truly an outsider to what the society considers regular, normal, natural. During his mother's funeral he shows an ability to keep a normal pose when he was expected to be depressed or desperate. Little time after coming back from the future he engages in a passionate romance with Marie, a woman he knew before and encountered by chance. He decides to help his neighbour Raymond trick his ex-girlfriend into meeting him so he could beat her up as a revenge for his suspicions of having been betrayed. When Raymond asks him he if he wants to be his friend Mersault can't even answer but eventually accepts the friendship because he thought Raymond would be pleased and even helps him get rid of the police. 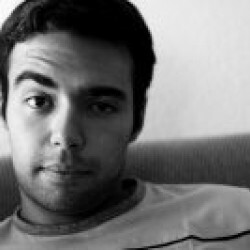 It is increasingly noticeable that Mersault doesn't do things for their inherent value, whether they are good or bad, he does them when he believes them to be expected by someone he wants to please at the moment, or when they might bring himself some pleasure or even just because he sees no reason not to do them. A very good depiction of this is shown when Marie asks him if he would marry her. Although he says yes, when she asks if he loves her, he just tells her that doesn't mean anything, and that he might not love her. Most other characters can be seen at times offering some kind of contrast to Mersault, as for example the old Salamano, his aggressive behaviour towards his dog and his emotional breakdown upon losing it (opposed to Mersault's reaction to his own mother's death).This character's background construction brings us to the climax, the life-changing situation that separates the two parts of the book, the murder committed by Mersault. The Sunday that Marie and himself spend with Raymond and his friends is noticeably hard on Mersault. Marie has trouble waking him up, the sun keeps being described as a hot heavy load throughout the day in relation to the encounters with Raymond's ex-girlfriend's brother and his Arab friends. When Mersault meets with the brother alone, unsettled by the sun, he ends up killing him, first firing one single shot, then four more. He gives no motives, he doesn't even show preoccupation with anything else but the sun and the heat. The reader is given no other explanation either for the first shot or for the following four.After he is arrested both the magistrate and his lawyer question him and two of the most important subjects in the second part of the book come up, his disbelief in God and his lack of what would be the expected feelings and behaviour after his mother's death, although he considers these discussions to have no importance or relevance to the murder case. Other than this, his life imprisoned seems to be going well and he eventually gets used to spend his time mostly sleeping until the day his trial begins.During the trial, other than proving Mersault murdered the victim, the prosecution focuses on his reaction to his mother's death. Using his lack of standard morality and remorse as prove of his inhumanity, the court is convinced of his guilt, he is considered a threat to the society and consequently sentenced to death. By the end of the book comes another scene of note, the chaplain's visit to Mersault. He had refused the visit some times before, but the chaplain insisted, hoping to convince him to believe in God and die faithful, something that would prove to be impossible. The dialog is very well built, leading to a moment when Mersault loses his temper and yells at him stating at last the message the whole story encompasses, that he sees a life and a world with no inherent meaning whatsoever.NO MORE SPOILERSCamus ends up showing how morals and values are so literally a social construction that a true outsider can't be deemed good or bad, being totally alien to the system. The "absurd man", being strange to the value that human beings usually bestow upon life itself, isn't driven by the consequential reasoning based on those values and morals. More than living for the moment, I might say he just lives, unconcerned with time, with details, mostly detached and unsentimental. He doesn't look for meanings and he doesn't seem to know how to create them. He also pictures not only the society itself, but its reaction to difference. It usually either assimilates different people by transforming them, or fights to eliminate them. I am unable to end this without a personal comment. I have no trouble understanding Mersault. Although I am not unconcerned and as disconnected from society as he his, I do see a life to which any meaning must be given by each one of us, if we want or need it. We do this as much as we give meaning to our actions and other people's actions sometimes mistaking ourselves. People wouldn't be so different from this "stranger" if they weren't - or didn't have to be - so worried with what others think. This could mean that Mersault is only an outsider to the standards of our society, but not so different from those that belong to it. It is hardly arguable that lacking all morals and values would be better for humans, but one can also consider that we often become more of what others want and need than what we ourselves would have and that is, in my opinion, one of the biggest problems of our society.This is but a simple sample of what The Stranger brings up and it is in what he makes you think about that Camus excels. The book would deserve a much richer review and a bigger and more encompassing comment, but I've done this to the best of my abilities at the moment. I not only recommend reading this book to everyone, but also consider it a must read for most.The original version of this review was published on my blog. I didn't given this book a 5 stars rating at the time I read it for feeling that it was short, having a story that might deserve some more exploration. I am now of a different opinion, I now think that it does, on the long run, allow the reader himself to do such exploration and that deserves at least as much praise. I have changed my rating accordingly.